This is my idea of a military-style explanatory organizational Autobot chart. It includes every Autobot that made an appearance in the G1 cartoon series and I've done my best to find a logical spot for everyone. It's quite comprehensive, as the sheer number of extant Autobot characters would properly seem to demand. Most recently, my inter-character scaling finally seems to be falling into place, which needed to be reflected here as well. I'm also starting to understand better how light would affect these avatars if they were three-dimensional and have started to apply that insight to the shading. Some of the characters have been updated as such and more is to come. I've arranged characters within each division according to the general area of expertise they bring to the fold. The TACTICAL DIVISION subtitle, for example, hints at the sequence of abilities I like to sort them by. However, the need to fit everyone and keep certain sub-groupings natural does make for the odd exception. I've received some surprisingly critical remarks about the piece, so I want to enlighten visitors about the conditions I apply to my choice of arrangement and labeling. The primary condition: My work in general is based on the U.S. G1 continuity as shown in the original 1980s TV series. I usually consider any retroactive references added to later franchises, such as BEAST MACHINES and ROBOTS IN DISGUISE, beyond the purview of my output and consequently beside the point. If a BEAST MACHINES toy tech spec suggests the purpose of an obscure one-off G1 character was such and such, I disregard it because the original episode(s) didn't mention or display it. If an episode of ROBOTS IN DISGUISE says DION became ULTRA MAGNUS (a confirmed nod to a favourite fan theory incorporated into translated dialogue for an imported Japanese TV series, no less), I discount it because the original WAR DAWN episode ultimately left his fate unknown. I've made a single exception to the rule, but I'll get to that a bit later. The TV series represents 95% of my visual references. In the few cases where a character's cartoon series representation is too limited to be used, I've drawn on THE TRANSFORMERS: UNIVERSE or appearances from the original comic book. I would've preferred all of my references to be intrinsic to the TV show, but I've accepted this source as the finalized character models were used for all of the G1 media permutations. THE TRANSFORMERS: UNIVERSE forms the basis of both the original comic book and TV series characters and the latter medium, though it tends to be less concretely stated, follows the functions and titles in the former. That's how I'm able to determine, for example, that TAILGATE is a scout and TANTRUM is a fueler. A time or two, a character was on the show but received no TRANSFORMERS: UNIVERSE profile. For their functions, I consulted their toy tech specs. That way, to name one, I could tell SWERVE was a metallurgist. So what of one-off characters that were neither made into toys nor featured in contemporaneous media? Because I like their look, I wanted to include the unnamed female Autobots from THE SEARCH FOR ALPHA TRION, but I hesitated because I didn't particularly want to use the names Jesse Wittenrich gave them for the 2010 FLAMES OF YESTERDAY online exclusive comic book. They're not bad, even if I don't see the "Auto-significance" of LANCER, but I was long adamant that I would only accept names made up by Beth Bornstein or others who worked on the original show. In the end, I decided to relent with these two and these two alone. 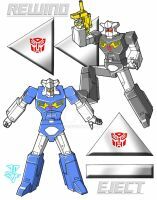 I also accepted their functions as scientists, as they looked analytically involved with their Cybertron base. I did adjust one of their purposes to avoid duplication, but kept it in the realm of science. Speaking of duplication: Some have also commented on the existence of both ARIEL and ELITA ONE in the chart, or both ORION PAX and OPTIMUS PRIME, to name a couple (or actually two couples). "Why are they both in there? They're the same character." I understand the question. But: They were very different types from one form to another and their old lives were "astro-years" apart from what they became. They were inconsequential entities with greatness in their futures. And it would be a waste not to show their designs! Finally, the overview includes two "cheats" on my part. I've always felt the lack of robot modes for HAULER and SLAMMER. It just looks too odd having vehicular-mode avatars next to everyone else's proper face. So I decided to design heads for each of them and put them in there instead of their respective crane and tank modes. I welcome anyone to disagree with my structuring and classification of the characters, but again, within the confines of the original 1980s U.S. G1 universe, this is as true an illustration as I can -- and will -- ever make. That is all -- thank you! This is really cool! I love the whole idea of of hierarchy, it's definitely original. I've never seen this before. How long did this take you? It looks like it took a while.... Every Autobot's job totally makes me think of them (and I agree with their occupation choice). Seeing this makes me extremely want to watch all of the episodes again! *goes to tv*. Honestly, I can't find anything to actually criticize... it's all too awesome! Maybe the medics could be separated form the science division?? What about giving a medic to the Airealbots, Protectobots, etc.? Above all, this is very wonderful work!!!!! You did a very nice job! I'm being sarcastic here, but maybe you could make one for comics, or OC's from around da? <---- Just kidding. Very nice job, and keep up the great work! And your doing so makes it all the more satisfying. Thank you. okay... HOW CAN THAT OVERRATED TWERP BUMBLEBEE RANK HIGHER THAN THE DINOBOTS!? AND THE COMBINERS!? THIS IS ALL WRONG! Hello. This chart isn't about reflecting individual rank as much as a logical (to my limited mind, at least) pseudo-militaristic structure of this particular "society." Furthermore, I don't appreciate a lot of "shouting" about something that was made solely for enjoyment. If your next response (should you type one) also contains ALL CAPS and aggressive language and punctuation, it will be removed. That's all right. Thanks for taking what I said to heart. Opinions are great -- as long as they're expressed in a cool manner. Pardon me for the very late answer. Summer's been going on. And yes, I regard the storyboards as canonical. This chart is cool, thanks for your time. I would love to see one with the Japanese continuity included as well. What would be cooler is all of that with them set up by not only their functions but ranks as well. I have considered doing a Japanese sub-gallery at some point, but it will probably be mainly HEADMASTERS-oriented. As for rank -- do you mean the Tech Spec ranking system? Yes I do, the tech specs rankings made them seem so real when I was little. With the skills that you have I can see you pulling off the Japanese continuity. What program are you using to create the images? Well, I thank you for the good word on my abilities. I could probably do it, though it would require me to get more deeply into the Japanese series. like this, but I won't rule it out! Software," and I can't say a thing against that. "Female Division" ? That's... weird. I mean, why not "Cybertron Resistance" which is what they did on the show, resist Shockwave on Cybertron. Hello, Ghilz. Thanks for your feedback. I have an answer to your question, but before I give it, I'd like to understand your point of view fully. Could I interest you in sharing precisely why you think it so strange? It seems a rather arbitrary division. Everyone else is either grouped by function (Command, Science), or by Special ability (Targetmasters) or actual team name (Dinobots, Protectobots). The "Female Division" is the only one that's divided by gender term. It's also the only major division (As opposed to those put under sub divisions) not to have subtitle the way Science, Command and Combat do, which furthers reinforce that the only notable thing is their gender. And lastly, on its own it gives an air of... segregation? "Girls go in the girl team so we avoid the cooties" kind of stuff. Now, not gonna say it's your fault, the G1 show wasn't exactly the pinnacle of gender representation, far from it, but it does feel like there's decent alternative. They were, in the original show, the only Autobots (along with Alpha Trion) remaining on Cybertron. Hence why Cybertron Resistance I think has a better ring. It calls more attention to what they did and the role they filled than well, the fact they are all girls. Rest of the poster is real nice though. Thanks for hanging in there and for the thoughtful reply. I can be slow to respond -- you know, this "real life" thing is pretty insistent -- and this will be a long answer, but you'll bear with me, won't you? Shortly before your first comment, I was alerted to a Facebook thread of strident reactions to my grouping of the female Autobots. It was quite a surprise. Times have changed, to be sure, because I was effectively labeled a misogynist on the basis of what was intended to be an innocuously entertaining, yet informative, chart. I'm sure the hearts of those who criticized me are in the right place, but I'm not so sure of the relevance of the arena they picked to express themselves about gender inequity. This organizational map is a million miles removed from a political or social statement -- and it isn't one by accident, either. I'm well into my forties, but still hold innocent affection for THE TRANSFORMERS. I love the TV series for the joy and excitement it brought to the kid I once was. So I always try to present things honestly and faithfully as they pertain to the G1 cartoon. There is no "agenda" behind what I do, but I sometimes have to get creative when there isn't enough contemporaneous material to go on, even in the behind-the-scenes content of official productions like THE SEARCH FOR ALPHA TRION. When I find myself having to fill in gaps, I try to make what I put in as reasonable as possible. Strangely enough, I've hardly had complaints about the (officially non-existent) functions I gave the female Autobots. The only hot-button issue seems to be the way I ordered them. I'm not sure why it appears arbitrary. I grant there are many ways to do it and I chose one that pleased me and seemed proper to many aspects, some of which are certainly based on personal preferences, but never to the end of "degrading" (as one detractor put it) characters. I gave them their own division because I wanted to single them out as a special and exclusive class of Autobot. "Female Division" was a prosaic choice. Beyond the fact that the cartoon episode unabashedly referred to them as "female Autobots" (and it's worth noting that a woman I know to be a passionate feminist wrote SEARCH), there's no disgrace in my mind to acknowledging their "otherness" directly. It's a lot like this: I don't understand how come it's offensive or awkward to many people to refer to (and this is just one of many examples) a woman working on-camera in films and television -- or indeed onstage -- as "an actress." All that word means is: a woman who acts. Yet many insist on calling her "actor," apparently to bring her up to some "equal" level. Is she, or should she be, somehow ashamed of being a lady of the arts? Must the female Autobots hide among the others in order to be their colleagues? Can't they be celebrated for their distinctiveness? You mention segregation. If that's what it says to you, my friend, your interpretation is your prerogative and I would never argue against it. That said, I can't be responsible for what your eyes see. This work is not a device to further antithetical leanings. If I wanted to treat these beings (fictional or not) with condescension or derision, I would have made that intent crystal clear. However, I do agree with you that there ought to be a subtitle, if only for diagraphical consistency. I have given that some thought as well, but it's more difficult than you might think to summarize them in a way that properly encompasses them without turning too ornate. Similarly to you, someone from the Facebook thread suggested they be labeled "Cybertronian Rebellion Specialists," though the following claim that "that was their actual function against Shockwave" is too categorical -- and difficult for me to countenance given the fact that we're not just talking about the four named characters in SEARCH. ARCEE is an officially defined warrior, but she was demonstrably absent from dealings with SHOCKWAVE and couldn't easily be said to be a part of "The Resistance." BETA exhibited authority during the slave rebellion against the Quintessons and is in a way more akin to ELITA ONE's group, though in her time, the populace segment she came from consisted of scientists and labourers. So the subtitle must account for both, right? The last of them, ARIEL, could be said to be a little incongruous here as she is pre-ELITA, but I like her design and think it should be seen as well (same deal with ORION PAX / OPTIMUS PRIME). I could put her under "Other Operatives," which would sort of work, but then I would lose the visual unity. So I haven't quite figured out how best to do it yet. One day, the right description may come to me. Some have called the overview flawed. That's fine. I don't mind that some seem to look down their nose at me for not making it perfect to their eyes, because I didn't make it for them. I made it for me. What I do find a little bemusing is that they have seemingly no compunctions about ascribing some odious underlying motive to me. As if they know the first thing about me, right? I'm sure this is much more of a response than you imagined receiving, but I decided to make use of this to explain how I work to someone I'm pretty sure would understand. It also gives me something readily quotable if someone else questions something I've submitted in the future. Thanks again for commenting so fairly. I just found this. Man this is awesome!! I wish I've seen this sooner for my story Cybertronians. This is really, really good. Thank you for the great comment! I'm very pleased it found favour with you. YAYAYAY!!! Research material. Thank you! should be completely updated and ready for upload. Very impressive, you've obviously put a lot of time and effort into developing, organizing and researching the different groups from the G1 cannon. I'm grateful for your comment, magigrapix. within the confines of each division. I have only 1 comment, Punch & CounterPunch are the same person so, I would think since he is a double agent he would be displayed side by side with himself and his name like this : Punch / CounterPunch. Hello, TimDay365. The choices I've made were quite careful, paying attention to layout and symmetry as well as organization. Also, given my alignment choice for their names, "Punch / Counterpunch" will poke way up there if I put them together. I'll think about it, though, because I don't disagree with the perspective that he is a single entity, even given his split personality disorder. Such a handy chart, you are AMAZING!!! compliment than to know that these things are useful to artists. redone them all, the charts will be updated accordingly. I like how Slag is listed as "Flamethrower"
I love this list and found it all quite interesting. Thank you so much, dracostarhome. Happy to know you enjoyed it. Thanks! I appreciate your liking it. As OMEGA SUPREME once said: "Compliment: Appreciated." As I've tried to explain in my deviation description, I only feature characters who were seen in the original U.S. G1 TV series and QUICKSWITCH, though he is indeed a G1 toy and character, never appeared. He did show up in a commercial and I'm sure he would have been included in the TV show if there had been a full fourth season, but that will only ever be a coulda-been. Your welcome. and it's not that I don't like it, it's just Quickswitch is one of my favorites. Not criticizing, just wish he was included. I understood -- and very well understand how you feel. 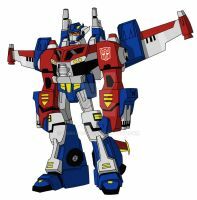 Ok. Btw what are your top 10 Autobots? My Top Ten? Hmm. I'm not good at picking favourites -- I like a lot of them for different reasons -- but since you ask, I'll give it a shot. Those came to mind now, but the next time I get asked, I might not pick the exact same list. I notice most of these characters had very prominent episodes. That was often what made my like certain guys -- if they had a showcase episode that made them shine a little brighter and tell you something more about them. I love this... This is so cool... I would like to say that I haven't seen anything like this and probably never will again, but there was a Flareup in G1 (however she was only mentioned in Timelines) which is strange in itself to be a G1 character and only mentioned in Timelines (which is more than likely an off-shoot of the G1 series). I do love this though...There is nothing wrong with this at all and it's absolutely amazing to see every single G1 bot in the series... Wonderful job!!!! I am not going to argue with you or tell you this is wrong, because I won't ever do that. I just wanted to state what I did which I thought was funny to find out what I did about the character I mentioned. It's taken me an obscenely long time to be getting back to various comments waiting for me at the message center and for that I hope you'll forgive me. I'm really happy that you enjoyed the piece (which will be updated one fine day with even better versions of their heads) and probably even happier that, though you mentioned FLAREUP, you've taken the time to become aware that I don't include latter-day offshoots in my work. I appreciate that more than you know. You're welcome. It has taken me this long to reply back, so don't worry about it. I've been trying to complete the current fanfic I'm working on and it's still driving me up the wall. So time is definitely NOT on our side! LOL! No problem. Please let me know when you do, so that I may see the new version of all the bots in that piece. I'll do my very best to remember sending you a note when it's done. It may be a while as other priorities are ahead of this for the time being, but here's one of many things to love about dA -- it's always here to come back to. I just found one bot that is missing from here unless I am missing him completely... I can't find our Firetruck Inferno... I just looked through it a few times and I'm not seeing him. If he is there, can you please tell me where he's located? Thanks..